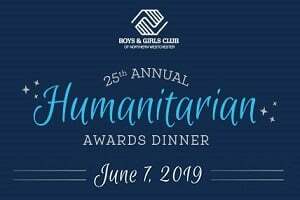 We are thrilled to share that the Boys & Girls Club of Northern Westchester is honoring our very own Todd Rockefeller with its 2019 Humanitarian Award. This is a worthy organization that makes a real difference in the lives of children. We salute Todd and all of you who generously volunteer your time and serve your communities. We also plan to celebrate Todd’s recognition at the upcoming Humanitarian Awards Dinner on June 7. You are all invited! 0 Response to "Boys & Girls Club Honors R. Todd Rockefeller"